The cat’s tired of chasing the mouse. It’s packed its bags and headed straight to Vegas for some shiny slot coins. Felix, the “hero” of the Cat in Vegas Slot is eerily reminiscent of Johnny Depp’s antihero in Fear and Loathing in Las Vegas. Whether that’s intentional or not is up to you to decide. 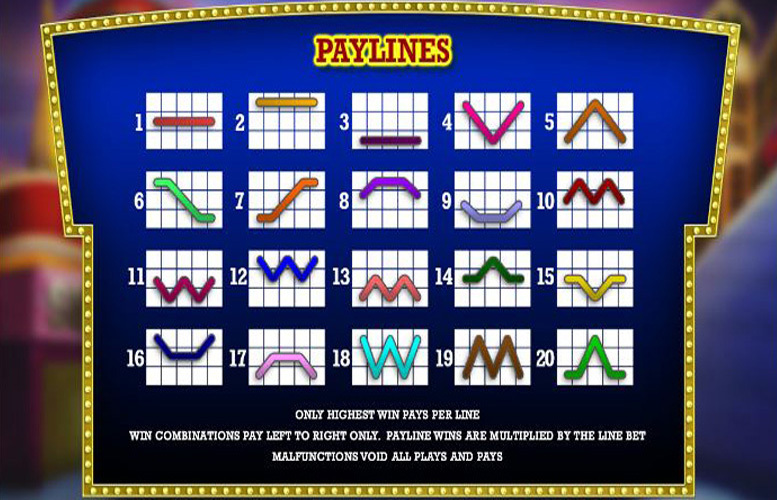 In any case, let us see what Playtech’s 2014 entry into the slot market has in store for you. The game music is uninspired and can be a little repetitive. That shouldn’t stop you from pumping out your own tunes and winning some big money at the slots. The progressive Jackpot can take a value between $15,000 and a whopping $200,000. More on how to activate it, below. Otherwise, your biggest win should be 20x 1500 coins (the highest win for the Felix + Casino Chip symbol) – a total of 30,000. 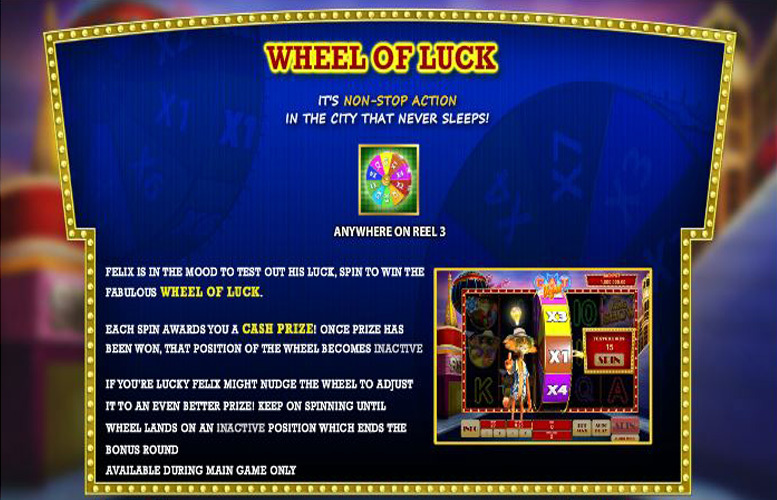 The Wheel of Luck – the mini-game is activated by getting the Wheel symbol on the center reel. 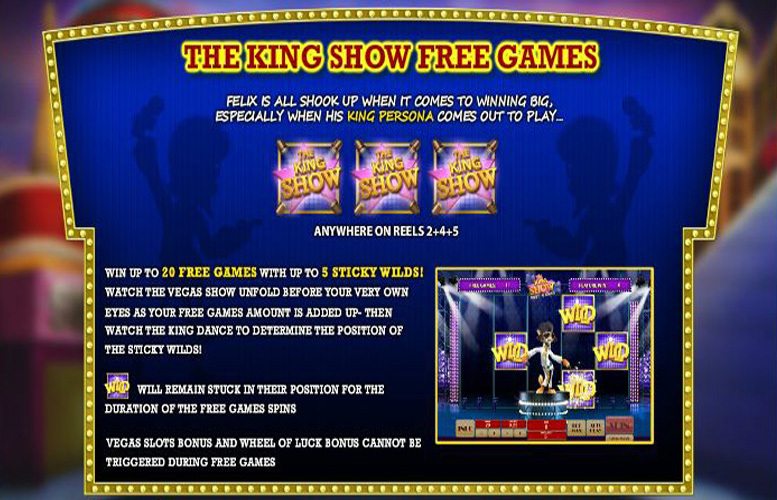 Felix invites you to spin the wheel for up to x5 your line bet in cash prizes. You keep spinning until the indicator settles on a bonus you’ve already won. This is a great opportunity to max out your profits or recover from a really bad series of spins! 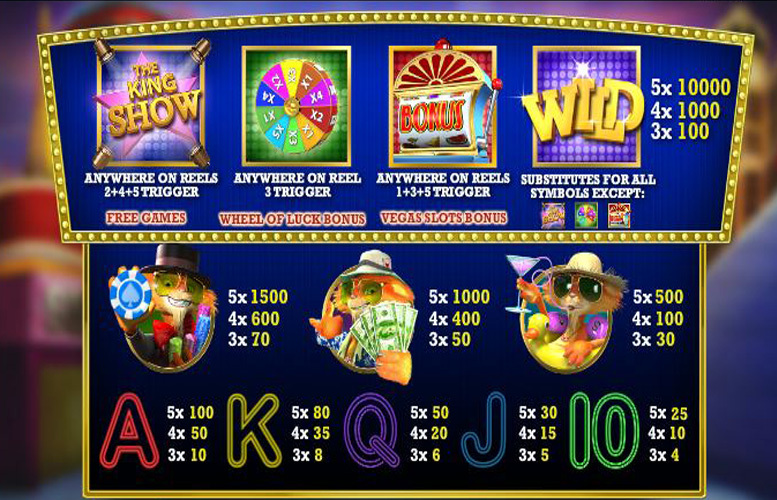 Vegas Slots – land 3 slot symbols on the first, third, and fifth reels (any line), and you activate the progressive Jackpot. Felix proceeds to play four Vegas Slots (talk about Inception-level slot machines!) which increase your profits exponentially. When they run out of order, the round ends. It seems to be a traditional Playtech thing to have Poker cards (10 through Ace) as regular symbols. At least this time it fits in with the overall Vegas atmosphere in the game. The Poker symbols are not as high-paying as the others (as one might expect). Felix holding a cocktail – he’s down to party at the pool (even got his rubber ducky floater prepared!) A max win for this symbol is 500 coins. Felix holding some cash – he’s worked his way up the Vegas ladder and already seeing the results – a max win with this symbol is worth 1000 coins. Felix holding a casino chip – his snazzy dress speaks volumes about his Vegas winnings. Felix has become top cat of the casino. A max win using this symbol yields you 1500 coins! 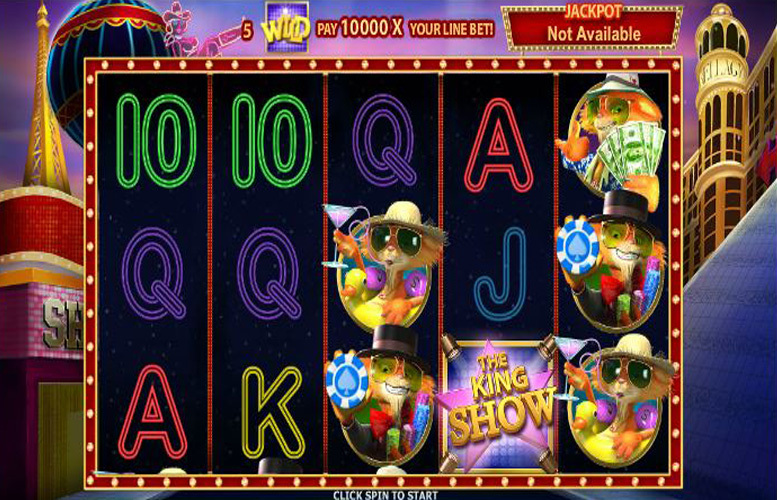 What can we say about the Cat in Vegas Slot? Graphically, it looks wonderful. The bonus games work in your favor and add a little extra incentive for your spins. The progressive Jackpot is huge, though the conventional Jackpot is a bit on the lower side of things. Can’t complain, seeing as the bonus games more than make up for any wins and losses you incur. The 20 paylines are also nothing to sneeze at. Combine that with the huge $100 max coin value and you’re in for some great wins. If you’re lucky, that is. Try it out, see what you think – it certainly hasn’t disappointed us. Except maybe those bland Vegas tunes. This game has a rating of 5 / 5 with 377 total reviews by the users.